I was privileged to serve as one of the speakers during the WARMREG inception workshop. 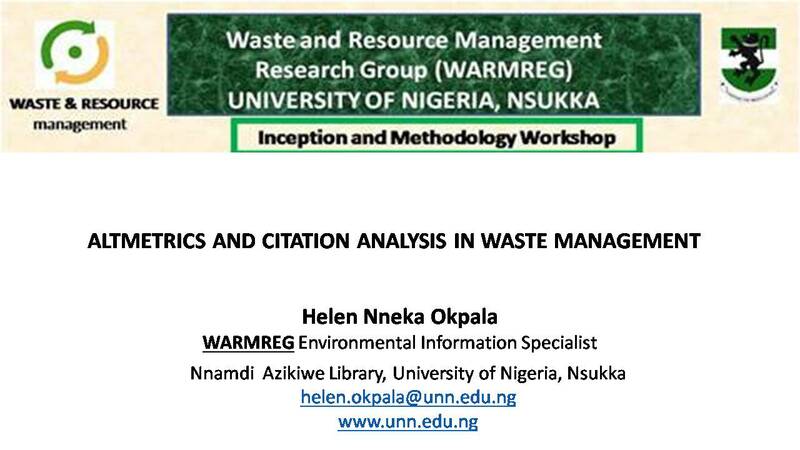 I spoke on ‘Altmetrics and Citation Analysis in Waste Management’. First, I wish to acknowledge my mentors in this area – Prof. Bosire Onyancha and Dr. Ifeanyi Ezema of University of South Africa (UNISA). 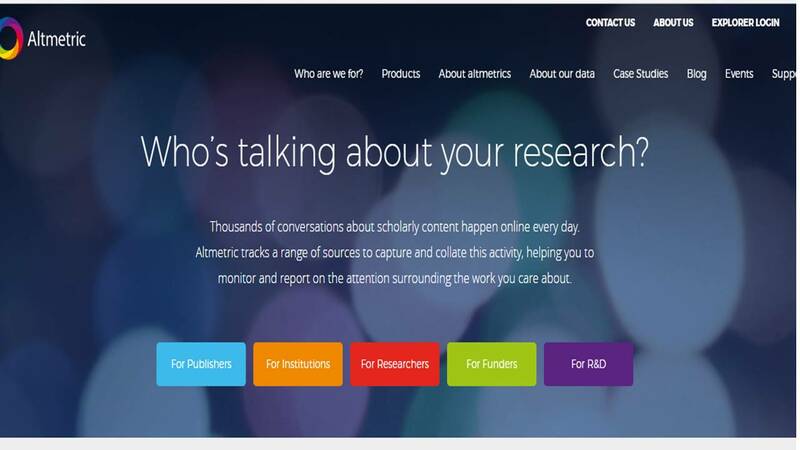 Altmetrics simply stands for Alternative metrics for research evaluation and also, the use of social media, particularly Web 2.0 media, in assessing the influence of researchers. It has to do with determination of social impact of research publications. You may be publishing your research works, but what impact are they making on social media? More often than not, you may see me and some of my friends sharing the links to our articles on Facebook, Twitter, LinkedIn, Blogs, etc. Altmetrics is the whole essence of the exercise. Now, when we share these articles or their links on Social Media, how many people follow the link to either read it, share it, Like it, comment on it, Tweet it, re-tweet it, blog about it, download it, etc. Some of the metrics that have been identified as constituting Alt-metrics include downloads, tweets, likes, posts on Facebook, blogs, bookmarks, views, visits. Citation Analysis (CA) involves counting the number of times an article is cited by other works to measure the impact of a publication or author. Web of Science: indexes over 10,000 journals in the arts, humanities, sciences, and social sciences. Scopus: indexes over 15,000 journals from over 4,000 international publishers across the disciplines. Google Scholar: indexes more journals and more publication types than other databases. Get connected on Social Media – Blogs, Linkedin, Twitter, Facebook, Mendeley, Academia.edu, Researchgate, etc. Track your citation count and check your citation impact on Google Scholar at least once a week.